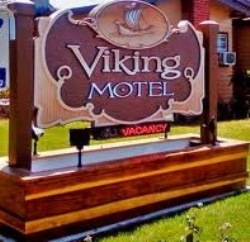 The Viking Motel is part of the celebrated Danish culture in Solvang. It was originally built in 1920 by Danish immigrants and was called "The Little House". Over the years it has been a honeymoon cottage, a boutique and a doctor's office. The palm trees in front of the motel were planted in 1922. Today, the historic Viking Motel offers comfortable, affordable accommodations with a flavor of old world charm.